With a stay at The Oceanfront Litchfield Inn, you'll be centrally located in Pawleys Island, within a 5-minute drive of Litchfield Beach and Litchfield Country Club. This beach hotel is 2.7 mi (4.4 km) from Huntington Beach State Park and 3.9 mi (6.3 km) from True Blue Plantation. Make yourself at home in one of the 130 air-conditioned rooms featuring refrigerators and microwaves. Complimentary wireless Internet access keeps you connected, and cable programming is available for your entertainment. Private bathrooms with shower/tub combinations feature complimentary toiletries and hair dryers. Conveniences include coffee/tea makers and irons/ironing boards, as well as phones with free local calls. Satisfy your appetite at Austins Ocean One, a restaurant which features a bar and an ocean view. Quench your thirst with your favorite drink at the poolside bar. A complimentary continental breakfast is served daily from 6:30 AM to 9:30 AM. Featured amenities include express check-in, express check-out, and laundry facilities. 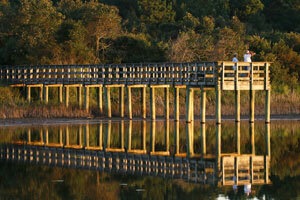 Planning an event in Pawleys Island? This hotel has facilities measuring 500 square feet (46 square meters), including a meeting room. Free self parking is available onsite. Reservations must be cancelled 72 hours prior to arrival day between Memorial Day and Labor Day, and 24 hours in advance during the rest of the year. Reservations cancelled inside of the 72 or 24 hour time frame will be billed for the first night's room and tax.